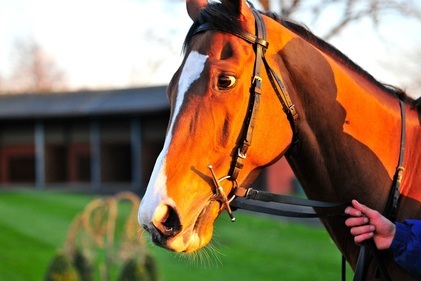 Can you tell us a little bit about yourself, your background and how you came to horse racing? Like many of us, my first exposure to betting was as a youngster - the whole area seemed fascinating and quite exotic ! I bought a book entitled ‘The Racing Annual of 1978’ in the WH Smith Christmas sale in 1979 – and that captivated me. It mainly covered the Group 1 flat races - and I had never before realised that the racing calendar had a structure. I followed all of the Group races in the 1980 flat season – and then started to get curious about NH racing. The following year, I was following that as well. The first Gold Cup I remember, was Little Owl’s in 1981. I’ve not missed one since ! Why did you set up the TVB site? What inspired you to start blogging on the subject? About 4 years ago, I started tipping on a private forum. That went pretty well and I even ran a small paid service for forum members. However, the number of forum members started to dwindle, so to justify the effort involved in the tipping, I decided to open it up to a larger audience via a blog. I started blogging in the autumn of 2011 – focusing on the races priced up the night before (as that had the minimum impact on my days). It went well and I launched a paid service on the back of that, 12 months later. Let’s look at an average day for you. Do you price up your own betting book each day? How do you begin evaluating your bets and where you find value each day, can you take us through your methodology? I have a very free format to my betting – and consequently tipping..! I tend to look at the following days races as soon as the declarations have been released (around lunchtime the day before). Normally, one or two races (or horses) will attract my attention – and I examine them in more detail during the afternoon (interspersed with watching the racing). In the evening, I get email alerts for horses that I am following that are running the next day. This often opens up other avenues for me to explore. As I work on my own, I tend to use Spotlight as my sounding board. I see if he has similar views on races to me – and if he has spotted something that I’ve not. Once I’ve got all the high-level thoughts in my head, I start to hone in on potential bets/tips. These will be the horses that I still fancy after double checking with the Spotlight commentary. At that point, I will start to examine the races and the opposition in more detail. This is driven by the cards in the Racing Post, which I use to delve into the past form of the runners. I also use video replays to watch previous runs of any of the horses I am interested in. By the end of this process (usually late in the evening). I will have a list of horses that I am targeting the following day – along with prices that I deem acceptable. What are the key elements you look for when weighing up a horse or race – and what are the things you will happily disregard? Recent form; past form; course; distance; going; trainer form; fitness etc. The only classic variable that I tend to ignore, is the jockey. In my opinion, most jockeys can win a race – provided they are on the best horse in the race. I’m not saying that all jockeys are of equal ability – that is most definitely not the case. But, no matter how good the jockey, if the horse isn’t up to the job, it won’t be winning !! You focus solely on NH racing, avoiding the flat and all weather altogether. Why is that? I only focus on NH racing from a tipping perspective. I am very happy to bet on flat racing – and do so all year round. The reason I only tip on NH racing is because I feel that to be an effective tipster, you need to put everything into it – and that is only possible for me, for a few months of the year. They happen to be the winter months – and during these months, I am happy to put my heart and sole into the racing. I get completely absorbed by it – and as a result I feel I have an understanding that gives me a significant edge – and thereby enables me to produce tips. I also think that it would be nearly impossible to maintain the required level of intensity for more than the 5 months - plus I love the NH racing ! (I could have chosen to specialise in AW racing – but I find that pretty dull !). What type of NH races do you focus on? You mention novice chases and Irish maiden hurdles as particular interests, why is that? Are some races easier to find value in more accurately than others? I love watching novice chases – seeing whether a horse is likely to show aptitude for a new discipline. I tend rarely to tip in this area – though I do occasionally, if I think I can see an angle. As for Irish maiden hurdles – you have to love them, don’t you ?!?! I would never tip in them – but they have provided me with most of my biggest wins (outsiders backed at inflated odds on Betfair !). Most of my tips are in handicaps – normally class 4 and above. I have a preference for chasers – but am happy to dissect a hurdle race if it has the right shape to it. Do you have any specific advice on things to avoid or look out for when betting on racing? Look out for trainers coming into form. When a stable hits form, its runners can literally improve by a stone. Do you focus in on any particular trainers/jockeys or courses? There are a few stables that I follow – but I’m as likely to avoid their runners as I am back them (depending on their current form). I prefer my horses to be ridden by certain jockeys – but I would never pick a horse based purely on the jockey (it would always be an added bonus – or downside !). I think that certain jockeys are better suited to certain types of horses (front runners, lazy horses etc.) – and that is an angle that I would consider when assessing a race. I have certain preferred courses – generally the classic ‘tough’ NH courses, such as Towcester and Chepstow, but my favourite by a country mile, is Cheltenham !! How much if at all do you use speed or form ratings and if so why? Do you have any in-particular you would be happy to recommend? The only speed and form ratings I ever look at, at the ones that come with the cards in the Racing Post. I don’t use them religiously, but I do use them to provide a rough framework when I am assessing a race. For example, I would be a little concerned if a horse I fancied, had never run a decent time. It might not stop me backing/tipping it, but it could affect my staking. How about ante-post racing, how do you weigh up when to have a bet in these markets? What advice do you have for punters looking to emulate your success here? Betting ante-post is getting to be more difficult. I’ve tended to only do any significant ante-post betting on the Cheltenham festival – but the extension to 4 days and the introduction of the new races, has meant that it is now fraught with danger. It is often very difficult to be adamant over which particular race a horse will contest. I honestly don’t think that connections know nowadays until quite close to the race. My advice on ante-post betting would be that unless you have a really strong fancy – and at decent odds – wait until the bookmakers are offering NRNB concessions. Punters love betting at the big meetings such as Cheltenham at the Grand National, but some consider them a very tough place to bet profitably? What advice do you have for those who like betting in these high profile races? I think the biggest difference between those meetings and the run-of-the-mill meetings, is that you can be sure that virtually every runner will be trying its best. You don’t need to worry about horses running for a mark – or prepping themselves for another day – generally, they will all be aiming to win ! The upside of that, is that if you fancy a horse, you can be relatively sure it will be on its game. The downside is, that the races are that much more competitive ! Do you spend much time watching races live and/or after the event? If so do you have any tips or advice for anyone else looking to do the same themselves? What should they be looking for? I spend as much time as possible watching racing: both live – and after the event. If people are going to look out for things themselves, then they need to watch races in context. By that I mean, they need to appreciate the circumstances of the runner they are observing: whether it is making its debut; coming back from an injury; running in its final race before getting a handicap mark. How do you decide upon your staking? Is it a simple case of the greater the perceived value, the greater the stake or something else? I have to admit that I’m not the worlds best bettor ! I love the challenge of unravelling a race – and get a big kick out of being right – but as for betting, I’ve got plenty of flaws ! I try to separate it in my mind from solving a race – but, if I’m honest, the betting side of the game doesn’t hold the same appeal to me as the puzzle. How do you deal with the pressure of losing runs or when you lose out at a big price in a photo finish? Do you have any tips for punters struggling to cope with betting when they lose? I think it is very important to separate the quality of the bet/tip, from the final result. It might sound an odd thing to say, but some of my best tips/bets have been losers ! At the end of the day, when you are betting/tipping, you can only do so much. My objective is always to find a horse with a chance of winning a race, at odds greater than its true chances of winning. But very few of those close defeats, were bad tips/bets - they were just a little unlucky. Similarly, there are occasions when I get lucky (though funnily enough, never quite as many !) and my horse benefits from a last fence fall of a rival. I think it is important to be able to look at situations objectively and establish when you were lucky and when you were unlucky. I lay off all of my bets on Betfair – to at least recoup my stake – when my horse trades at 2 (even money) in-running. Below this point, the Betfair in-running players believe it is more likely to win the race as it is to lose. If it gets beaten having traded at less than 2, I think it is reasonable to think it was a little unlucky. Similarly, I quote all of my tipping figures adjusted to remove this element of luck. Of course, it cuts both ways, so if I’m going through a period of good fortune, I only get credited for half the wins – but I think this is a fairer way of looking at things – in the short term at least. What resources do you use and can recommend for others? For example, your favourite websites, stats or tools? The Racing Post online; email alerts (I use GG.com); Betfair live video and a historical video facility (I use the B365 site). The most important things are your eyes and your mind – and how you use them. Finally, what advice would you give to anyone looking to emulate your success? I put in around 60-70 hours effort per week, on form study and video watching. In addition, I try to always keep a clear, balanced mind – and demonstrate good judgement. Anyone who is prepared to put in that kind of effort – and show the same level of self-discipline will almost certainly become a profitable bettor.